I observed, reluctantly, another birthday this week. I had to do it, because throughout the day people who know me were wishing me a happy day. My parents called me, as they always do, reminiscing about that day so long ago that changed their lives (not to mention mine) forever. I got to thinking about Oak Park, Illinois, where I was born. My wife likes to tease me about the fact that I frequently can’t even remember the name of the city in which I was born! Actually, Oak Park is where the hospital was located. My mom and dad took me home from there after a couple of days, and I have never been back, not even to pass through. It was really just happenstance that makes Oak Park show up on all of my vital life documents. It was an “accident of birth,” as they say. Oak Park has had no discernible impact on my life, and I doubt that I have brought any acclaim or shame to the city as a result of my birth there. I didn’t choose Oak Park. I didn’t choose the state of Illinois, either. I could have entered ths world through Wyoming, Louisiana, Vermont or any spot in between. Whatever the locale, I clearly had nothing to do with it and it has little to do with me. And then I got to thinking about what my life might have been like if I had been born in Nicaragua, as a citizen and resident. What if I had come from the mountainous regions somewhere, what if I had too little to eat or drink, no time or place to learn, no voice with which to express myself, and no one to hear me, anyway? What would I be thinking and feeling on this birthday of mine, what might I be hoping and praying and dreaming and aspiring, but for this accident of birth? It’s an interesting scenario. Try it sometime…. I will never be accustomed to the natural beauty in Nicaragua. From the lakes in the south to the mountain vistas in the north, Nicaragua is as breathtaking as anyplace on Earth. I mean, the mountain panoramas absolutely rival their Alpine cousins. The lakesides are mirrors of our own Great Lakes wonders. And the seashores are the very reminiscence of the Virgin Islands. I continue to be amazed at how little I hear about these natural wonders, within country or outside of it. Perhaps it’s because alongside of the beauty resides the “beast,” a poverty that is so oppressive in some quarters that it completely overshadows what is so stunningly beautiful. I suppose we all tend to notice warts before beauty marks. I had the great good fortune to journey to a couple of distant sites within the department (province) of Nueva Segovia in Nicaragua last week. Nueva Segovia sits at the far north central tip of the country and borders Honduras, so it’s a long way off the beaten path. Or rather, that’s what you must travel in order to get there. But as is often the case, off the beaten path is where some of the most inspring and beautiful stuff is to be found. Driving up from Esteli, Condega and Ocotal to the south, I first noticed that the dominant browns of the dry season were giving way to early shades of green. Like a sudden emergence from winter to spring, emerald shades begin to appear all around. It happens quite without warning, for the trail is undeveloped here and commands all of one’s attention until a sudden turn in the road discloses greenery that finally cannot be ignored. The beaten path forges straight uphill once past the municipality of Macuelizo, our return route destination for later in the day. But once again my attention is focused elsewhere: ramrod straight red pines tower from both sides of the pathway, blotting out the afternoon sun, crowding out the undergowth so that a forest floor has emerged, crimson soil stained by the pigments of pine. I am amazed at the similarity between this forest scene and a hundred like it I have absorbed in northern Minnesota. But for the grade of the earth and the absence of lakesprings, I might be in Boundary Waters canoe country. What the land may lack in water, it compensates in its altitude. 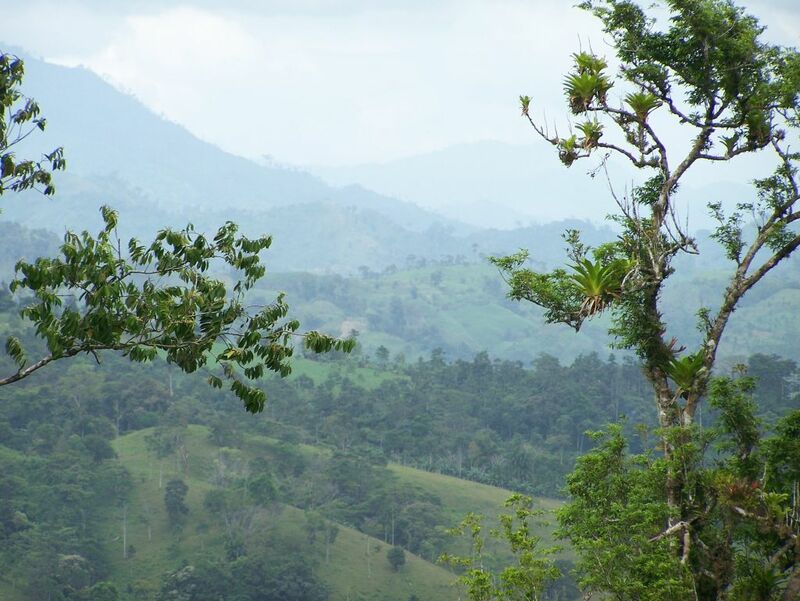 Behind an occasional turn or break in the forest wall, valleyed overlooks permit wide glimpses of far-off Honduras. The mountain peaks compete for notice across the range divides, and covering it all is the omnipresent pine. I close my eyes at the privilege to breathe in the sweet scent of the north. And I am grateful for the absence of clear-cutting. For even if I long to witness the softness of clouds haloing the tips of peaks, I am content to sneak looks between the wide bodies of timber and revel at the inconvenience. I am told that hours have passed on our way to the municipality of Santa Maria, and that I am now at the far northwestern corner of the country where few visitors land. Like many of the towns and villages of the countryside, Santa Maria lies quiet and old. There are few residents in sight this afternoon, and I wonder whether they might all have parked themselves on the side of a slope somewhere to observe the grandeur of the lowering sun. I know better, of course. There is little time for the residents of Santa Maria to just sit back and marvel at the nature around them. The bulk of their days is spent in mustering whatever livelihood the ground or the town can allow; time is money, as the adage goes, and here everything simply takes more time. The mountains have taken millenia to form, the robust forests centuries, and an 18-kilometer walk to the town of Santa Maria requires the better part of three hours over unfriendly terrain. I learn that last bit of elegance during our meeting with several members of the Multiple Services Cooperative of Santa Maria. Their reception is warming; they are grateful for the journey undertaken to visit their outpost. There is a shyness in each of our three hosts, born of an infrequency of guests. The cooperative was formed a number of years ago when, in the face of a corrupt mayoral administration, the municipality looked to grassroots for leadership. Carlos is a farmer, not a politician. 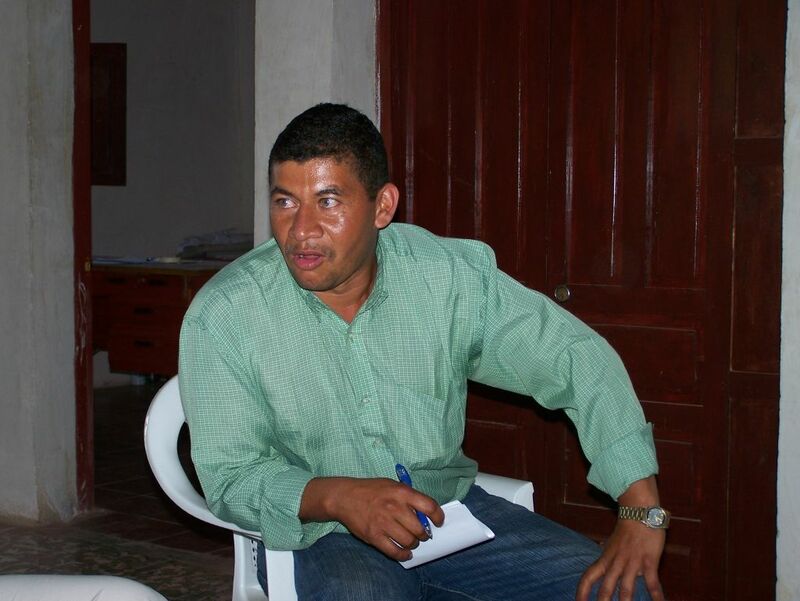 But when TROPISEC, an international funder, sought integrity and credibility for salvaging the economic base of Santa Maria, Carlos emerged as a natural. Maura has had training in recordkeeping and administration, although she is not a degreed accountant. Jari, too, is the beneficiary of training from the funder, and now plays the role of chief agricultural technician for members of the coop. Carlos is deliberate and measured in his responses to our questions. He exudes calm determination in describing the plight of this community and cooperative. His chiseled face is the visage of nobility found on Indianhead nickels. He has taken on a second term as president of the coop, and asks frequent questions about how Winds of Peace and other foundations operate. He is straightforward and proud of the efforts of his cooperative; his eyes are on his guests and he sits forward on his chair while describing its operations. He might be talking about his child, or a piece of personal artwork that has received his loving care. Jari is a man in motion during the entire visit. At every question asked, every inquiry about members, at even a hint at something we might wish to know, Jari is out of his chair, into the adjacent office, producing records or copies or files of past transactions. Like a clairvoyant on the run, he tries to anticipate every possible item of interest. And he is constantly smiling. Every task he grabs with energy and I feel as though I’d like to work alongside him in whatever he would do. Some people are infectious in their demeanor. Maura is quiet for much of our visit, responding as needed for clarification of the bookkeeping to which she has carefully attended. The purity of accounting, at least by U.S. business standards, is imperfect. Her intentionality and commitment are not. Her face reflects the personal ownership she has assumed for these documents. A third man enters our meeting well after we have begun; we know nothing of his extensive efforts to be in attendance until much later. He remains silent for much of our meeting. He makes notes throughout the session, listening intently, occasionally offering a clarification of something Carlos or Jari has said, but otherwise begging the question of who he is and why he is in attendance. And then, after we have covered the basics and received clarification to our questions and shuffled as if in conclusion, the third man speaks. He explains his tardy arrival in the face of the 18 kilometers. He offers his gratitude for our visit. 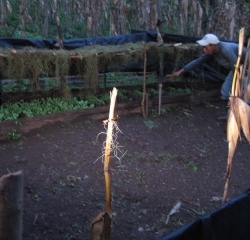 He describes his small farm and its needs for sustainment. He speaks of the ground with admiration, of the mountain terrain with awe, of the forests with reverence. And he describes his obligation to fight for the people in those activities which have to do with improvement and preservation of their environment. He is adamant, and gentle. And then he prepares for his return walk through the mountains. We state our thanks and admiration and take our leave. Our drive down the mountainside is touched by the orange of the setting sun. 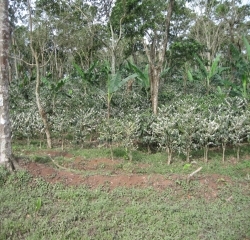 We are on our way to Macuelizo and another cooperative. And once again I marvel at the natural beauty of Nicaragua. Winds of Peace are blowing across this planet, as always. There are people and initiatives and happenings that are defying the dominant stories of oppression, war and death. Sometimes those winds howl, with major breakthroughs, as in the evolution and success of microlending worldwide. But other times, what is happening may be no more than just breezes, those small stories happening anonymously and quietly that are changing the circumstances, the context, the very lives of the poor and disenfranchised. That’s what I hope to present in these posts over the weeks and months to come, as we introduce introduce you to Winds of Peace Foundation and the remarkable stories gathered from our work in Nicaragua. 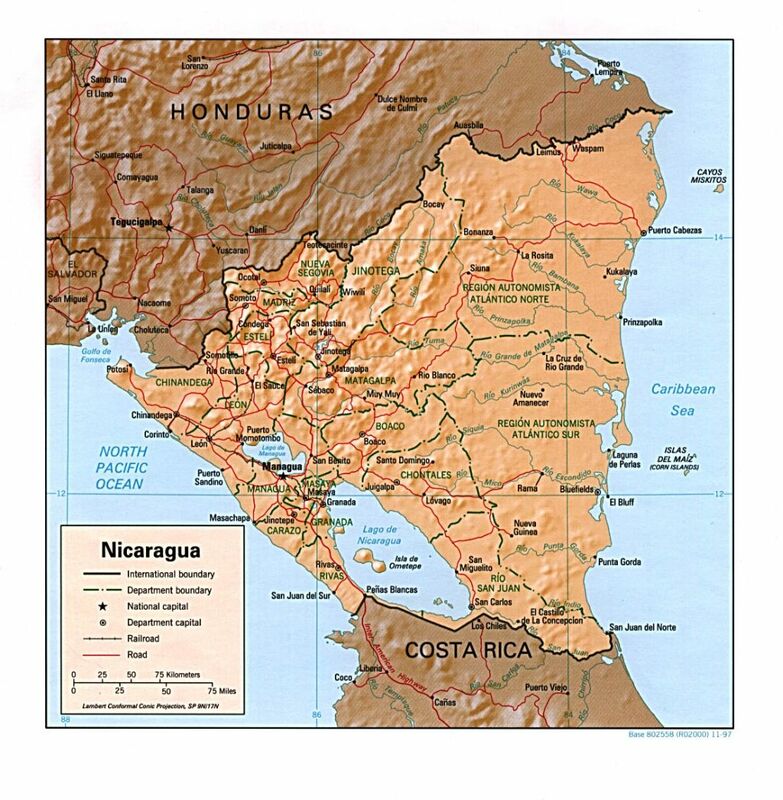 Nicaragua? It’s a place that many people could not even find on a map. And maybe that’s why it’s an appropriate place for Winds of Peace to be. That anonymity makes it an “everyman’s land,” a place to which any of us could have been born, a land confronted with circumstances that could be ours. And the people met there are, in fact, us. They dream, they aspire, they hope, they wonder, and they believe, in all of the same ways that everyone does. It’s easy to care about Rosa Adelina Barahona Castro or Carlos Bustamante because they’re like us, and they’re in our neighborhood. We generally like to hear stories of people “like us,” and so that’s what you’ll find at this site. Some blog sites today seem to carry entries designed to create controvery or challenge in its readers. I won’t set out to do either, except to the extent that the real stories and circumstances presented here stir your feelings to think or to speak or to act in informed ways; that will be for you to decide. But I willrender the impressions and attitudes and conclusions experienced by this reporter with all of the passion and energy evidenced by our neighbors to the south. In the end the stories and observations will speak for themselves. I hope you’ll join me periodically for the view; it’s well worth the climb…. I took my leave (early retirement) from Foldcraft Co. on September of 2005, after 31 years with the company. It was a wonderful ride and a thrilling journey, but I sensed somehow that there were additional excitements to be discovered. I also considered that if I was going to go looking, I’d better do it before my energy and opportunity got away from me. On October 1, the very next day, the opportunity to lead Winds of Peace Foundation presented itself, and I have been focused on its work with the poor in Nicaragua ever since. At the same time, employee ownership has remained a passion of mine. I have been blessed with the opportunity to speak with companies, professional and civic groups, chapters and members of The ESOP Association on an ongoing basis, sharing whatever experiences and insights I may have with those who seek to build ownership cultures. The work has kept me squarely inside the world of ESOP corporations. Some have inquired of me whether these two seemingly disparate activities isn’t like working on two different planets. In Nicaragua I am privileged to meet and work with people who are among the poorest of the poor. In corporate ESOP America I am honored to interface with some of the most enlightened and energetic leaders in the country as they innovate to maximize the ownership wealth of their companies. But I have learned, to my absolute astonishment, that these venues are stunningly similar on at least one front. Last January I met with Martha Heriberta Valle Valle, a dynamic woman who was an activist in the Nicaraguan revolution, an organizer of rural women, a former elected official of the National Assembly, and founder of the women’s cooperative FEMUPROCAN. She described to me the nature of the cooperative’s work and initiatives, the struggles and triumphs she has experienced, and concluded that first conversation with the insight that in order to survive, three concepts must be foremost in the thinking and actions of the members: holistic development, participation and ownership. I was stunned at this revelation, because those are the same general themes that I have tried to teach and cultivate within the employee ownership world, almost verbatim! I commented to Martha about the sameness of our messages, and she seemed pleased that the notions resonated with me. I was shaking my head all morning at the amazing coincidence of words. 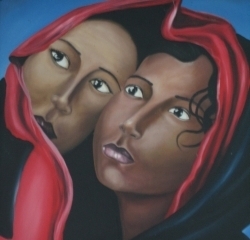 Later that same day, in an entirely different community, I was again making acquaintance with rural Nicaraguans when one senior community leader commented that, in order for their community to prosper, three elements needed to be present. In essentially the same words that I had heard that morning, holistic development, engagement and ownership emerged as the critical focal points. The gentleman who made the statement watched me rather quizzically as my eyes opened wide and my look of utter astonishment reflected an epiphany, of sorts. This second conversation quickly took any coincidence out of the equation for me; there was something more profound than coincidence in these observations and that conclusion was further substantiated during the balance of the week in visits with other communities, and where I heard amazingly similar statements. The emerging truth for me was that the notions of holistic well-being, participation and ownership are not simply nice, progressive management “technologies” that are being employed in select ESOP companies in America. They are, in fact, the very foundations of human development, self-sustainment and even survival. Many of the people of Nicaragua know this and conduct their everyday lives in concert with it, because they feel its importance. What many of their American counterparts do not yet understand is that the notions are no less critical in America. The success and very survival of our employee-owned companies is tied directly to our abilities to see the corporation and its elements as a whole, to engage our co-workers to participate in the strengthening of each component of the organism, and to help each ESOP participant feel his/her ownership to make it personal. So, is this message about Nicaragua or is it about employee ownership? I prefer to see it as a reflection of human needs, that whether we examine the struggles of creating something of value in Nicaragua or the task of growing the value of an ESOP company, both intentions require the same awareness of basic human requirements. 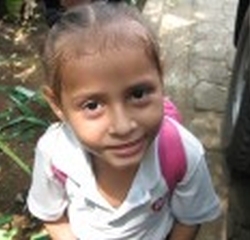 In Nicaragua the people we’re working with often possess the understanding but not the resources to follow through. In American ESOPs, all too often we have all the right resources, but not the insight and resolve to leverage what we have. Working in these two venues is a bit like working between Saturn and Mars, only to find that the same creatures inhabit both planets.